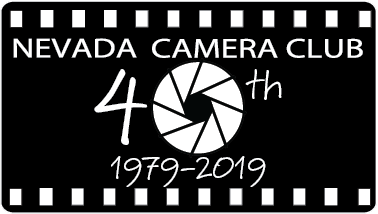 Nevada Camera Club (NCC) sponsored discussion groups are an environment where NCC members can ask questions and share information about photography. Discussion group topics will be publicly available worldwide. The NCC eboard welcomes and encourages you to participate by posting questions or providing input or answers to questions from other users. Do not post messages that are inflammatory, nonconstructive, or at odds with the aims of the discussion groups. Do not post messages that contain offensive language or references or personal attacks against other discussion group members. Do not post messages that advocate software piracy. Any that do so will be removed and banned from using the forums. Do not post duplicate or test messages. Do not post nonconstructive messages about NCC or other products and services. Do not post unsolicited messages (including “spam"). Failure to adhere to these terms may terminate your ability to post topics, or reply to messages in the discussion groups. We allow attachments. Some file types are restricted. You are allowed only one attachment per post. We encourage you to make your attachments as small as possible, and enforce a 5 MB limit. Although we will attempt to keep all objectionable messages off this forum, it is impossible for us to review all messages. All messages express the views of the author, and we will not be held responsible for the content of any message.